Approximately 19 billion LEGO pieces are produced each year, over 2 million are molded every hour, 36,000 every minute. LEGOs are a favorite toy and every parent’s worst nightmare when walking through a dark house. Thankfully, LEGOs are good for so much more than excruciating pain and creative play. Children learn best when they are learning about something they are interested in. 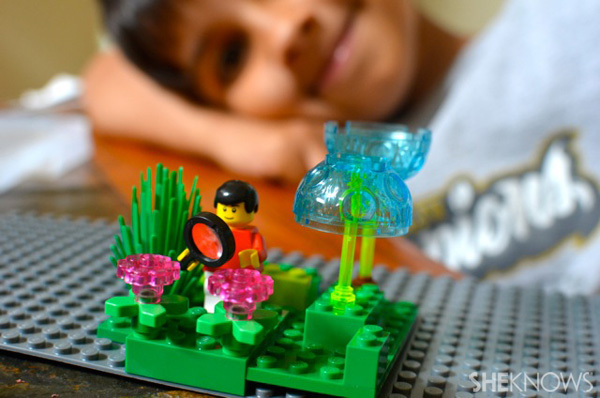 With LEGOs, children can learn a number of lessons and different subjects through hands-on, imaginative fun. Math manipulatives can make math concepts come alive, and LEGOs are the perfect hands-on manipulative. Our boys love to use their LEGOs for math in the place of an abacus. We also use LEGOs for compare and contrast exercises, identifying numerals, pattern recognition and sorting and classifying. 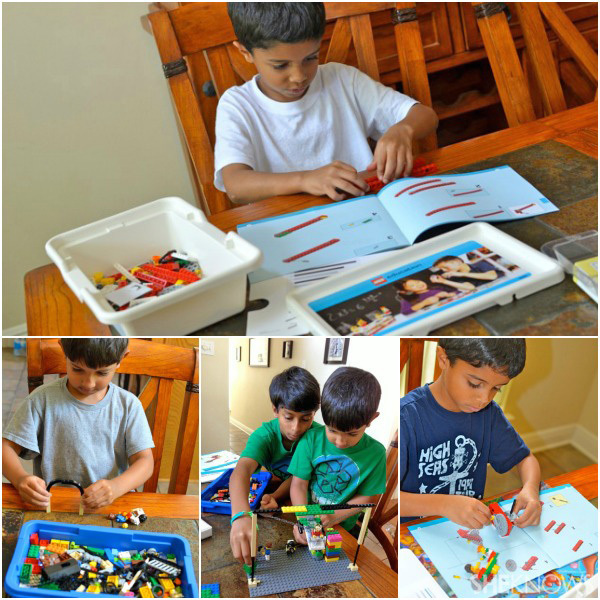 I recently tried LEGO Education’s StoryStarter with our boys and fell in love with it. StoryStarter, a hands-on tool that inspires students to collaborate while creating and communicating stories, focuses on enhancing students’ reading, writing, speaking and listening skills. A simple exercise allows your child to read a short story, create it with LEGO and ask the who, what, when, where and why questions. You can also give your child a select number of LEGOs, offer them basic facts or information which they can build a story upon, then allow them to build the story and answer questions or write out their short story. LEGO Education sells kits to construct models to be employed in physics, technology, robotics, engineering and mathematics. Science, structural engineering and architecture are learned through building and creative play. Toying around and experimenting with LEGOs offers children hands-on opportunities to learn the basics of structural engineering, by figuring out concepts of planning, scale, spacing and balance. History and geography are probably our favorite lessons to incorporate with LEGO minifigures. Many LEGO minifigure sets come from a specific time period, and you can use this to your advantage. Whip out a map and teach about that specific place and time period. Placing minifigures on a map, then building homes, boats and places of a specific time period are fun lessons the entire family can enjoy together. Check to see if you have a Bricks 4 Kidz business in your area. These programs use a STEM-based (science, technology, engineering, mathematics) curriculum and LEGO bricks. There are many fun lessons to be learned with LEGO at home. Whether supplementing after school or teaching full lessons in your homeschool, there is nothing better than learning through hands-on, child-led, LEGO fun.